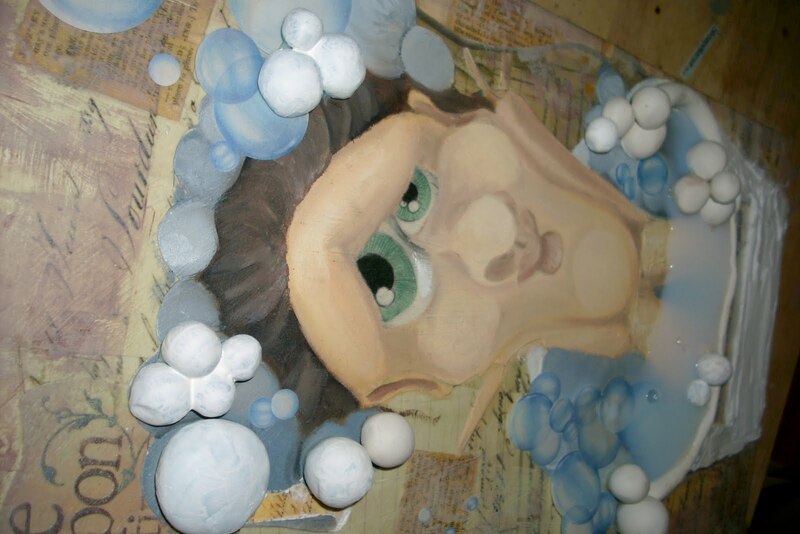 I have added a few more elements to my bathtub lady collage. Can you see the water in the tub? Cool huh? I filled up my polymer clay tub with some diamond glaze. It dries clear so it should look like water when its all done. Also, I added bubble stickers around her as well as clay bubbles making it have a few more dimensions. 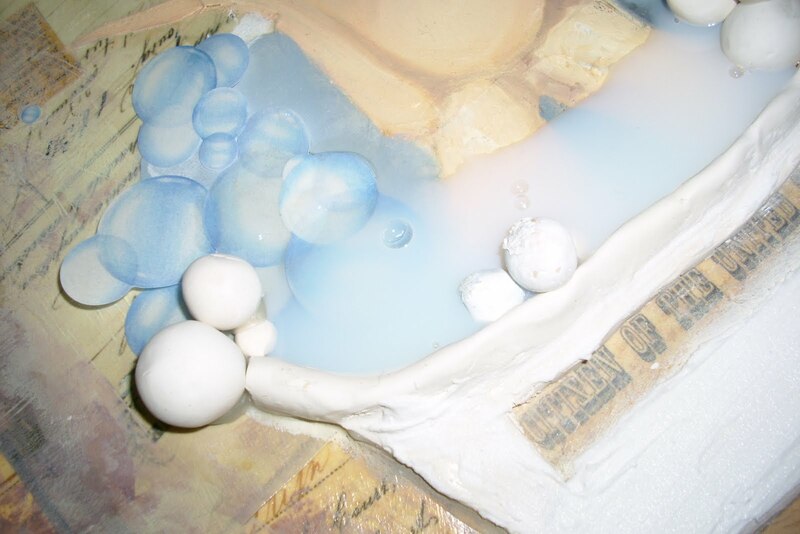 I also added some molding paste to create the bathtub bottom. In the end I plan to add some very cool embellishments but you’ll have to wait and see! Previous Post Getting back into it. Next Post Finished 2 of my Paintings and Sold One!